Kurgan's Gutter Company is a locally-owned gutter company serving the Greater Nashville area. We use quality materials, never cut corners, respect customers and their property, and always try to make every job the perfect job. We are licensed and insured and all warranties are in writing. So why wait? For your prompt, professional, and of course, free estimates, call or email us today! Lifetime copper or aluminum seamless rain gutters add value to your home, increasing the resale value of your investment. 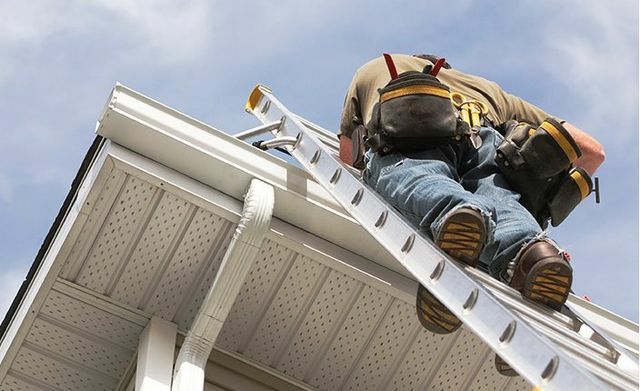 Homeowners who do not install gutters on their roofs cannot expect their walls to last a lifetime and will seriously effect structural integrity. Mosquitoes, termites and other pests are attracted to damp areas and standing water. Without gutters directing water away from your home, it can become very attractive for bugs. "I called for an estimate and the gentleman came the next morning, gave me an estimate, which I felt was reasonable, and I gave the okay to do the job. First thing the next morning someone was here and had the job done. It looks great. Much better than it had ever looked. Thanks for a great job!" "We were impressed at the teamwork and at how quickly the job was done. It was good quality work that improved the appearance of the building. We were very pleased with the accuracy of the quote. Thank you!" "I called this company for an estimate for replacement gutters on a deck roof. They came as scheduled for the estimate. The installers arrived on schedule, finished the job quickly and I am satisfied with the results. Thanks for being so efficient in handling this for me." Why are seamless gutters superior to traditional gutters? Offering a customized fit to reduce leaks and prevent damage, seamless gutters cannot be beat. Known for their durability, they are also available in a variety of colors to complement your home. Yes, we will be glad to provide you with a detailed estimate. Please contact us today for more information. Do you offer a workmanship warranty on gutter installation? Yes, we include a written 25-year workmanship warranty on all our installations. with our very best quote. Uh oh, there was an error sending your message.